Gliding down the world’s longest waterway you may at times feel as though you have the water all to yourself. There is an ancient past still alive in majestic monuments and relics, threaded along the river banks. This captivating backdrop is mirrored in the elegantly restyled Sanctuary Sun Boat IV, ensuring a distinct sense of being in storied Egypt. 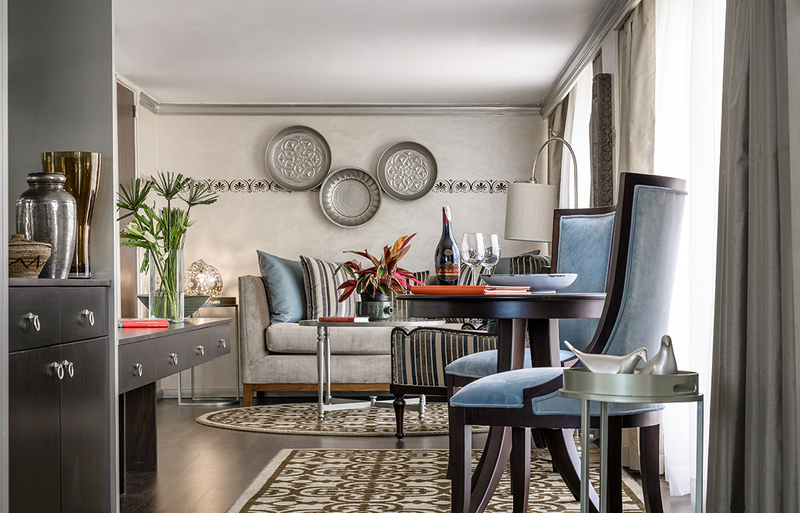 Its contemporary-yet-classic design displays new levels of luxury and chic. 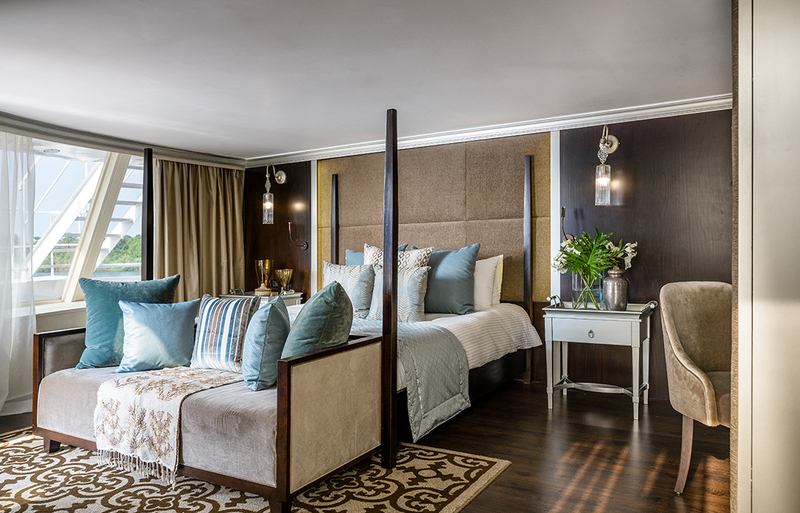 Elegance has been elevated with rich teak flooring, Egyptian marble and hand-painted decorative details to fashion an exceptional ambiance. 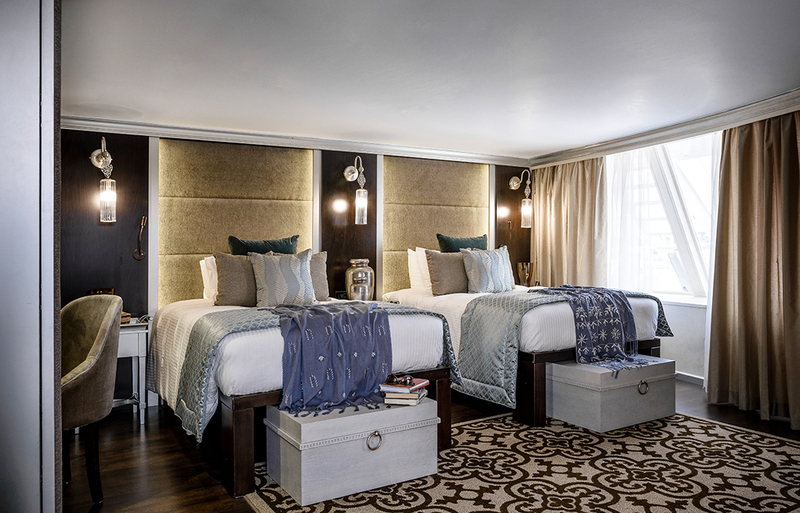 Neutral-toned textiles complement the soft fabrics draped artfully over beds — it's these distinct touches which create an environment a world away from traditional river-cruise cabins. Shades of sandstone echo the colour scheme of the desert and temples, blending traditional references with a modern sense of style. With just forty rooms, including two presidential suites and two royal suites, time on the Sanctuary Sun Boat IV is spent in unrivalled seclusion. On board it feels like you’re in an intimate floating palace where the softly-lit lounges are as suited to socialising as quiet romance. Interesting textures and natural materials ensure a distinguished aesthetic, while ceramic ornaments and delicately etched metalwork set an elegant tone. Head to the upper sun deck where you’re promised iconic tableaus in high-definition, cool cocktails and cool shade, and radiant sunshine as you take a dip in the river-view pool. Enjoy exquisite meals prepared by the gourmet chefs who will elaborate on the nuances of their lovingly created classics. Discover the secrets to regional specialities such as Kushari, a spicy mix of black lentil, rice, chickpeas with tomato and fried onion, and Mahshi – delicious stuffed vegetables. With international classics also served — dishes are piled high with vegetables, meats and salads. Well-seasoned and delicate flavours suit every palate, with fresh produce and ingredients, and always plenty of variety. Your hosts are always on hand to amplify your sense of serenity with heartfelt service intuitive to their nature, and your room is kept fit for a photoshoot by the meticulous housekeeping team. Time on the cruise is as cultured as it is calming. Colourful dancing nights bring to life the conviviality of the Nubians, with a whirl of bright ‘galabeya’ robes in pinks, blues, greens, golds. Or why not learn how to create local delicacies thanks to time with the award-winning chefs. Expert Egyptologists ensure every day and every tour is enriching. Learning is luxury thanks to time with these charming guides who love to share their passion for the treasures of their birthplace. 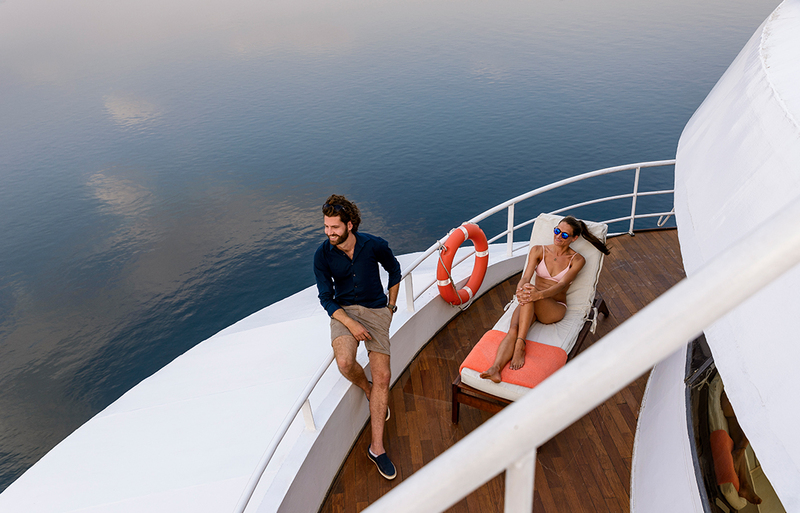 Cruises on the Sanctuary Sun Boat IV range from three to seven nights and itineraries are authentic and full of adventure. Explore the Temple of Karnak, get up close and personal with the perfectly preserved hieroglyphics of Luxor Temple. Visit Kom Ombo's mummified crocodile and admire the vivid artwork inside the Valley of the Kings’ tombs.